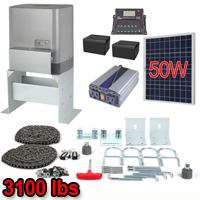 Purchase Your Solar Kit Sliding Gate Opener For Sliding Gates Up to 40-Feet Long and 3100-Pounds Today! Limited Quantities Available! Call 1-866-606-3991. 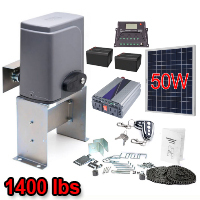 Purchase Your Solar Kit Sliding Gate Opener For Sliding Gates Up to 40-Feet Long and 1400-Pounds Today! Limited Quantities Available! Call 1-866-606-3991.